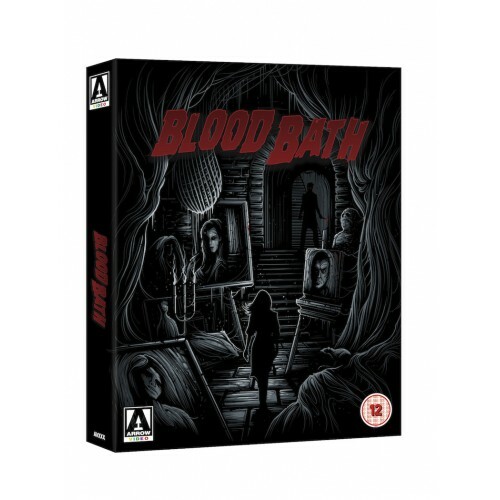 Arrow Video is thrilled to announce the release of the complete 'BLOOD BATH', released on Blu-ray and DVD on 30th May. This limited edition set has reconstructed and restored all four versions of the film - Operation Titian, Portrait in Terror, Blood Bath and Track of the Vampire - from the best surviving materials and comes with a feature-length visual essay companion by Video Watchdog's Tim Lucas. The films of Roger Corman are often as well-known for their behind-the-scenes stories as they are the ones unfolding on the screen. He famously made Little Shop of Horrors in just two days using sets left over from A Bucket of Blood and shot The Terror over a long weekend because bad weather prevented him from playing tennis. 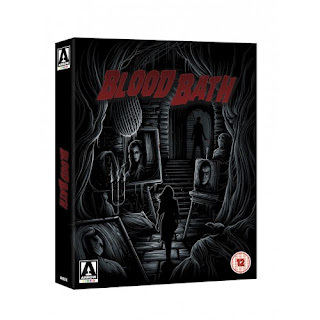 But none of these tales is quite so complex, or quite so extraordinary, as the making of Blood Bath. The saga began when Corman invested in a Yugoslavian Krimi-like picture entitled Operation Titian just prior to it going into production. Insisting it be filmed in English, he sent actors William Campbell and Patrick Magee, and uncredited story editor Francis Ford Coppola (all fresh from Dementia 13), to Dubrovnik to make a US-friendly movie but wasn’t satisfied with the end results. First it was re-cut and re-scored to create Portrait in Terror, a film more in line with drive-in tastes, then it was handed over to Jack Hill (Spider Baby), followed by Stephanie Rothman (Terminal Island), each undertaking reshoots that resulted in a vampire picture by the name of Blood Bath. One final twist was provided when a TV version was required, chopping scenes and adding others to create Track of the Vampire.